It’s well known that the GTX 1060 is still one of the most popular graphics cards in the mid-range series. Not only that, it was several times reported in Steam Surveys that GTX 1060 is the most used GPU all over the world. As Nvidia released two more competitors to the GTX 1060, namely GTX 1660 and GTX 1660 Ti, the price of 1060 has come down a lot. 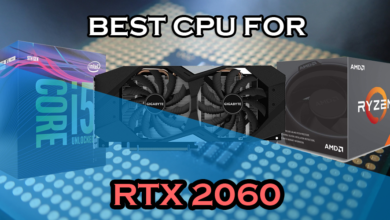 So, in case you are planning to buy one or already have one in your system but your CPU is bottlenecking it, then take a few minutes to know which CPU should you get in order to get the most performance out of this GPU without spending too much money. Surely, those who have GTX 1060 after saving a lot of money may not have the budget to buy an i7 9700k or i9 9900K. 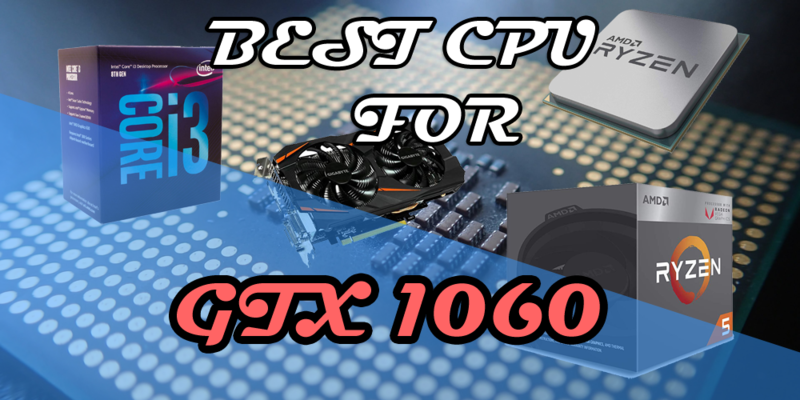 So, this list will definitely help you get your needed CPU if you own a GTX 1060. Starting from the very less powerful one but still, a beast is the Intel Pentium G5400 GOLD edition which is an 8th Gen Pentium processor with 2 Cores and 4 Threads which is similar to the i3 7100. 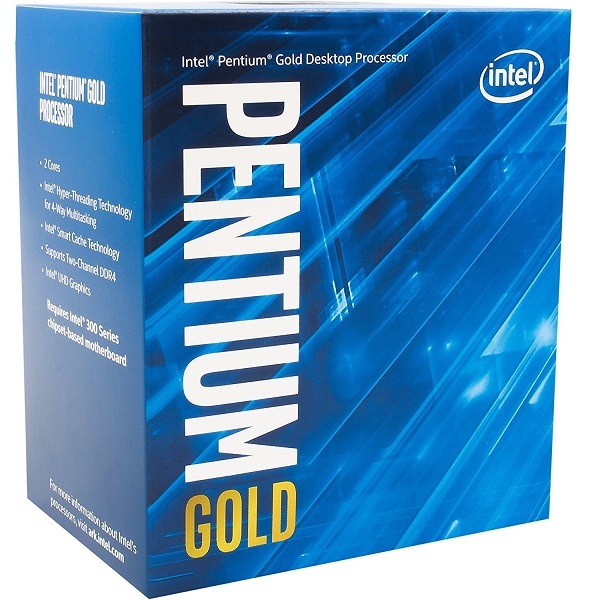 As time passed, Intel upgraded the Pentium series to provide better performance in the Pentium series. GTX 1060 will easily provide you decent fps in all of the games which require more GPU power than the CPU but in CPU intensive games it won’t fall back, although it won’t be equal to a real quad-Core CPU. 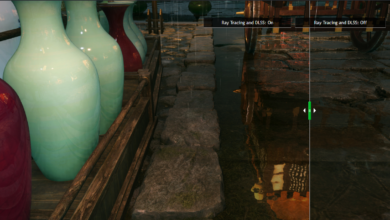 This processor in some GPU only intensive games will provide similar fps to the i3 8100 which is the next contender in the list except the games which are CPU intensive. This chip is equipped with a base clock of 3.7Ghz but doesn’t have any boost clock but again, 3.7Ghz is enough for handling any game and the GPU itself. The best thing is that it is the cheapest Intel processor right now which won’t bottleneck GTX 1060 except in a few cases where the game requires too much CPU power. 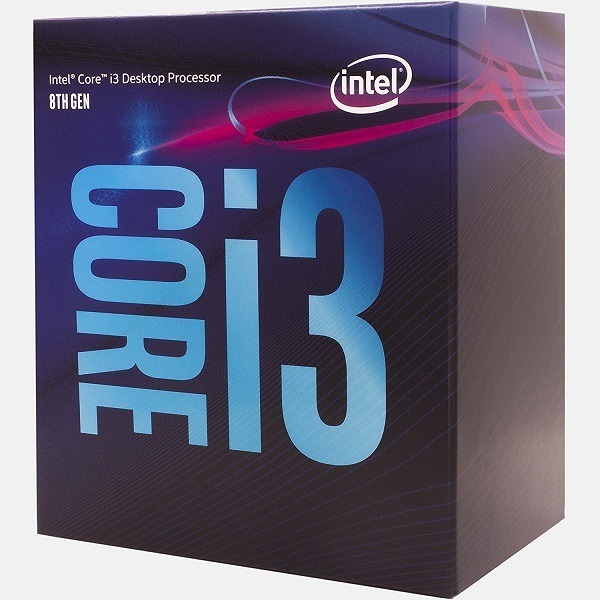 With this CPU, just buy a simple H310 chipset motherboard and you will be good to go. Perhaps, the best budget processor for the GTX 1060 is the Intel Core i3 8100 which is a superb 4 Core processor without any hyperthreading. This CPU is equivalent to the i5’s of the previous generations which had 4 cores and 4 threads but costed way more than this processor. So, this makes it a top choice for a mid-end card like GTX 1060 which will help you easily achieve more than 60fps at 1080p ultra settings. When compared to the G5400 which I listed above, it’s roughly 15-20% faster in most of the games and makes the difference noticeable. 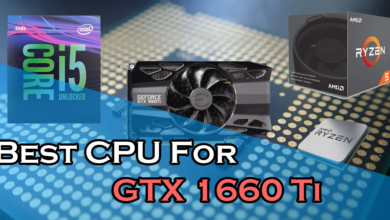 It features a powerful base clock of 3.6Ghz with a cache memory of 6MB which makes it capable enough for handling any gaming related task and help the GTX 1060 reach its potential to a great extent. 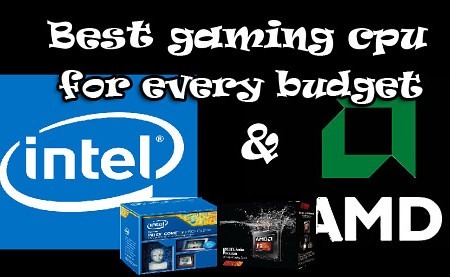 Similar to the Pentium G5400, it too can be used with a simple H310 chipset motherboard to reduce the overall cost. If you can spend 20 to 30 bucks more, then there is a better chip than the i3 8100 in more than one way. 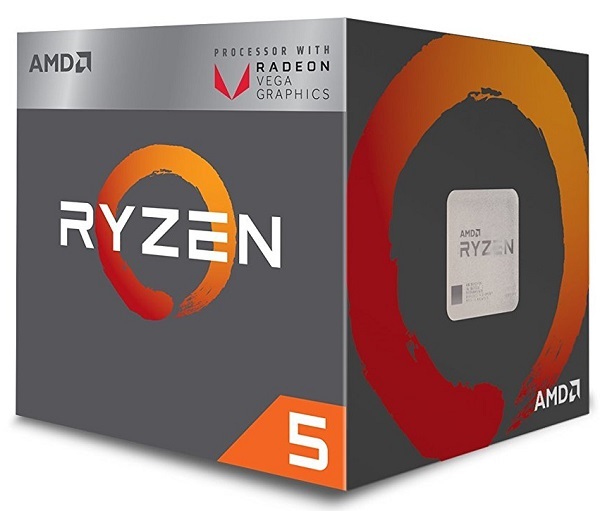 The AMD Ryzen 5 2400G is a great chip with both CPU and GPU inbuilt which doesn’t require a dedicated graphics card for display and for playing casual games. However, it’s better if you use it with a GPU like GTX 1060 which will provide you with the smooth gaming experience. 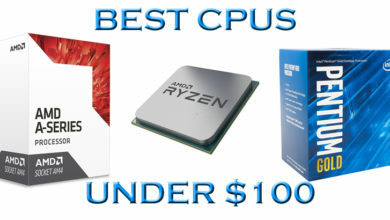 This APU is currently the best APU that cost $150 and competes with the latest Intel processors in gaming in the mid-range category. 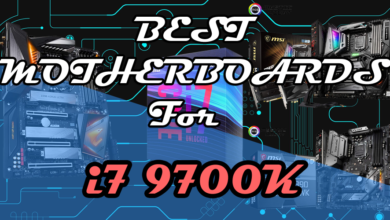 When compared to the i3 8100, it provides roughly 10% more performance, so the cost you pay for it is not really bad at all when you are also getting a very powerful integrated graphics unit. The best thing about this processor is that it is overclockable and comes with a base/boost clock of 3.6Ghz/3.9Ghz which can be overclocked up to 4.0Ghz with a good CPU Cooler. 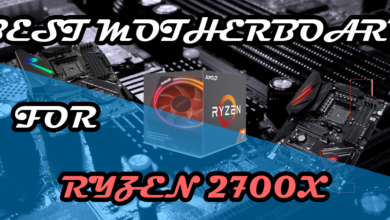 But make sure that you buy at least a B450 chipset motherboard which generally comes under $100 if you use this processor in order to get the full overclockable advantage. The best and the most affordable CPU for GTX 1060 is Ryzen 5 2600. This is also a Ryzen 2nd gen CPU and is even more powerful than the Ryzen 5 2400G. Hence, you will get the maximum benefit of the GTX 1060 if you combine it with the 2600. This chip comes with 6 cores and 12 threads which is equivalent to the i7 8700K(not in performance). 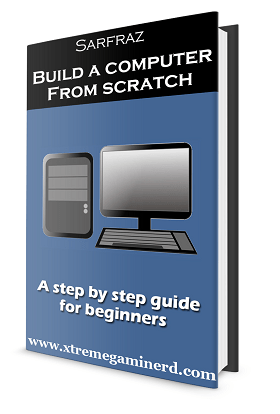 The CPU features 3.4Ghz as the base clock and 3.9Ghz as boost clock. 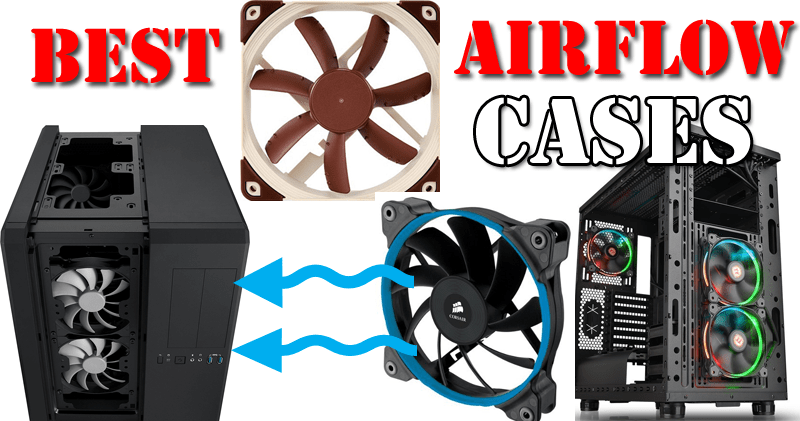 You can overclock it easily to 4.0Ghz with a decent CPU cooler although it comes with a good stock AMD cooler which should be fine for up to the base clock. 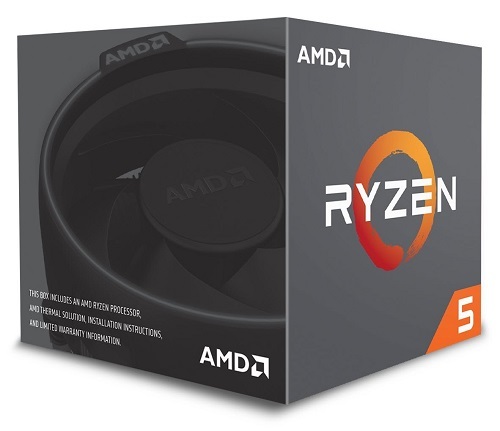 Ryzen 5 2600 is a perfect choice for gaming as well as productivity as it features several real cores with hyperthreading. When compared to the i5, it gives a tough competition in gaming and wins in productivity tools. For GTX 1060, I don’t recommend going higher than this CPU because it will be just a waste of money if you are buying the CPU just for gaming. Ryzen 5 2600 will fulfil all of your needs in under $200. 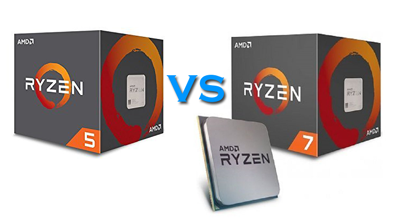 Should you choose Ryzen 5 1600 or Ryzen 7 1700?